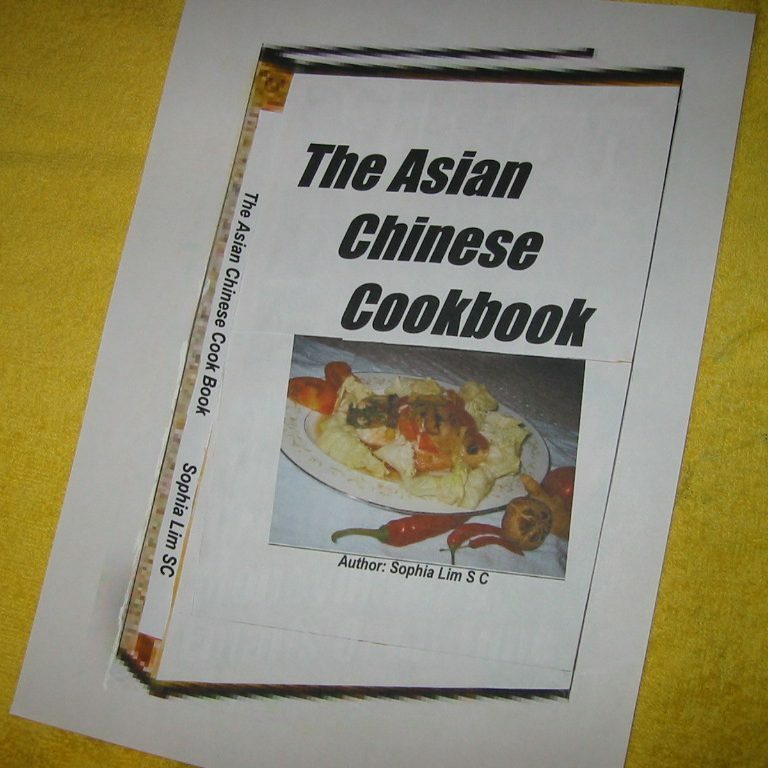 The Asian Chinese Cookbook with 50 colour photos 106 pages 6 inch x 8 inch will guide you step-by-step to prepare Chinese dishes that are tasty and nutritious. These Asian dishes on fish, prawn, squid, crab, lobster, oyster, abalone, vegetable, bean curd, chicken, pork and beef will even appeal to any connoisseur of authentic Chinese food. Chinese Cuisines Snacks and One-dish Meal 30 recipes and 30 colour photos 71 pages 6inch x 8 inch will give you Chinese food dating back to the Tang Dynasty when emperors were good connoisseurs of appetizing food and they revelled in banquets. You can acquire the skills and knowledge to cook these delicacies yourself. In this book you will find a number of such recipes to whet our appetite. The recipes on snacks will help you to prepare dishes for parties, gatherings or birthdays. You may like to cook One-dish-meal for a fast lunch or dinner and help to save time. 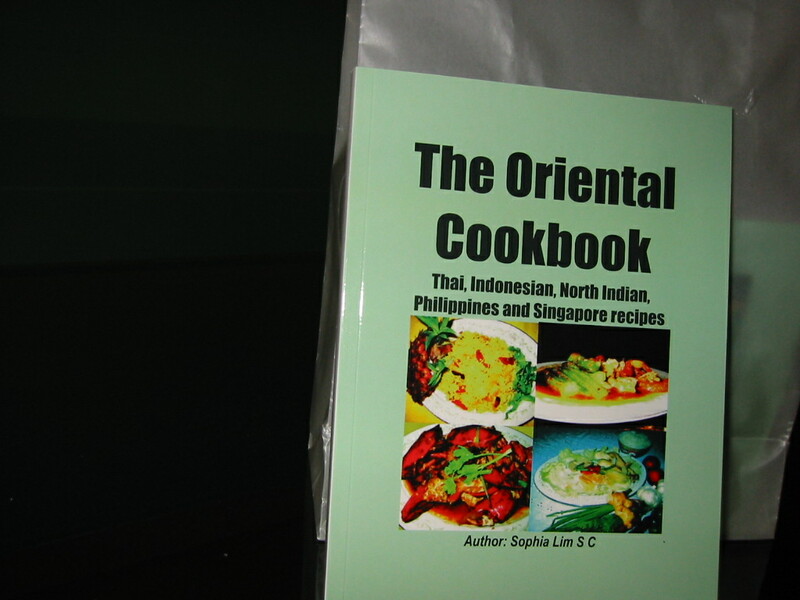 The Oriental Cookbook 50 recipes with 50 colour photos 109 pages 6inch x 8inch on five countries recipes: Thai, Indonesian, North Indian, Philippines and Singapore. To have more appetizing food you can easily follow the simple steps to make Thai Pineapple Rice, Tom Yam Soup, Curry Prawns and Ladies Fingers, Hainanese Chicken Rice or Chili Crab. Eat the healthy way by using these recipes and immune yourself against diseases and sickness by eating the right food.